Bluebonnet is a unique room that embodies Texas architectural elements, cedar posts, rock walls and bead board. A large covered porch with rocking chairs leads to a private entrance. 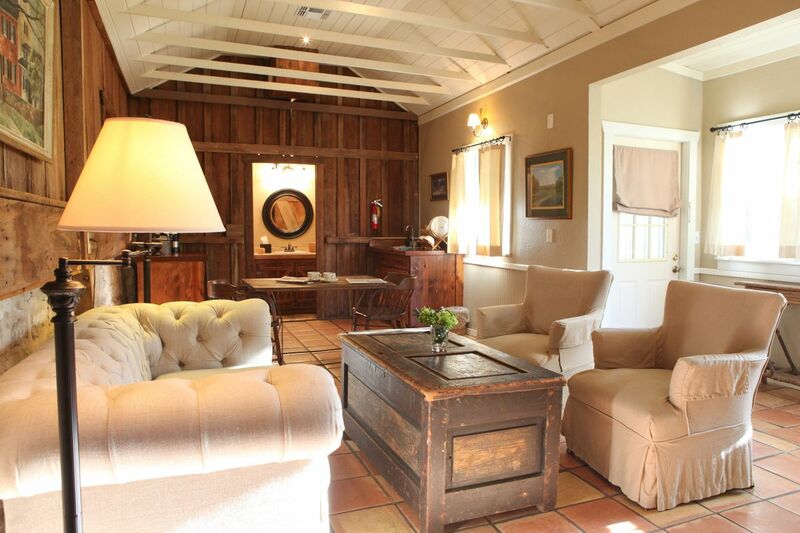 Inside, an old rock wall has been incorporated into the interior of this rustic, eclectic room. 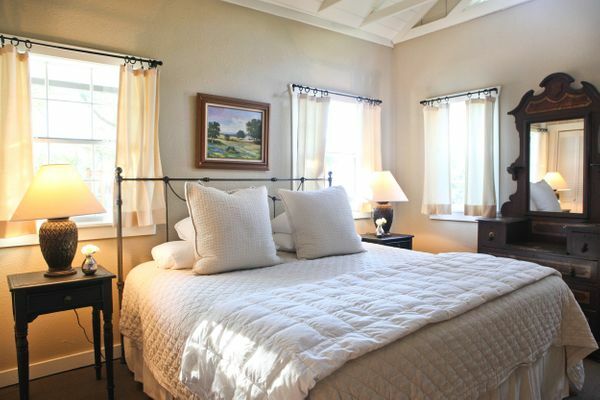 The suite has a welcoming iron bed and separate living area with a small dining nook and butler’s pantry. The bathroom has a jacuzzi bathtub with a fixed shower. 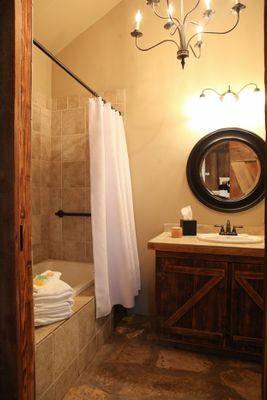 The flagstone floor of the bathroom was once an old stone barn.